I’ve been thinking about potatoes, of all things, recently. Maybe it’s the approach of Thanksgiving, because in our house, mashed potatoes are always on the menu. Creamy, buttery, heavenly mashed potatoes — the ultimate comfort food. Thoughts of potatoes led me to wonder about the love affair between the Irish and that marvelous tuber. Is it truth or stereotype? 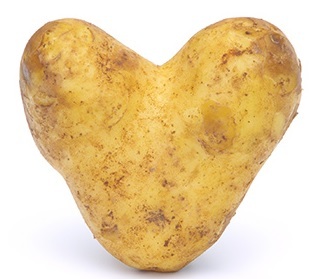 Well, Bord Bia, the Irish Food Board, conducted a survey recently and found that 52% of all households in Ireland consume one portion of potatoes a day, and one in three homes eat two portions. However, except for dairy products, potatoes are the most consumed produce in the U.S., and the diet of the average person throughout the world in the first decade of the 21st century included about 73 pounds of potato per year. So yes, potatoes are popular in Ireland — and almost everywhere else as well. Here are a few interesting facts about the potato, provided by the Irish potato experts at the Irish Potato Federation. In October 1995, the potato became the first vegetable to be grown in space when potato plants were taken aboard the space shuttle Columbia. NASA wanted to develop super-nutritious and versatile spuds to feed astronauts on long space voyages. Potatoes contain more potassium than bananas. A potato with its skin contains more vitamin B1 than an equal portion of broccoli or cauliflower. China is now the world’s largest potato-producing country, and nearly a third of the world’s potatoes are harvested in China and India. French fries were first served in America in 1801. Potato chips were invented in New York in 1853. Potatoes are the world’s fourth most important food crop, after corn, wheat, and rice. So what better way to celebrate the humble spud, beloved by the Irish and people everywhere, than a traditional Irish potato recipe or two? Put the potatoes in a 4-quart saucepan with enough cool water to cover by at least 1 inch. Add 1 tsp. salt and bring to a boil. Turn the heat down and cook at a gentle boil, skimming off any foam, until the potatoes can be easily pierced with a fork, about 15 minutes. Drain well in a colander, letting the steam rise off the potatoes for a few minutes. Meanwhile, heat the milk and butter in the saucepan until the butter is melted. Season with 1 tsp. salt, 1/2 tsp. pepper, and a pinch of nutmeg. Return the potatoes to the pan and mash with a potato masher to the consistency you like. Season to taste with more salt and pepper and thin with additional milk, if necessary, before serving. 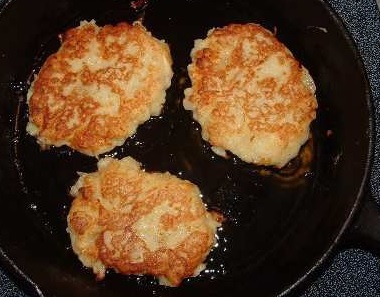 Traditional Irish potato cakes, or boxty, are mostly associated with the north midlands of Ireland in Connacht, and Ulster. The people of Mayo, Sligo, Donegal, Fermanagh, Longford, Leitrim, and Cavan are particularly big fans of this delicious and simple style of potatoes. Whisk together flour, salt, and baking powder. 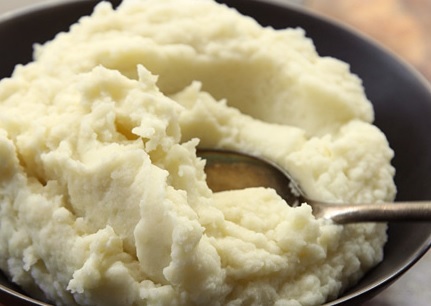 Combine flour mixture into raw potatoes, mashed potatoes, and eggs. Add enough milk to make a batter. This entry was tagged Ever Irish Gifts, Irish linen, Irish Linen House, Irish potatoes, Irish table runner, mashed potato recipe, potato boxty recipe. Bookmark the permalink. ← 10 Ancient Irish Spells, Just in Time for Halloween!